The U.S. 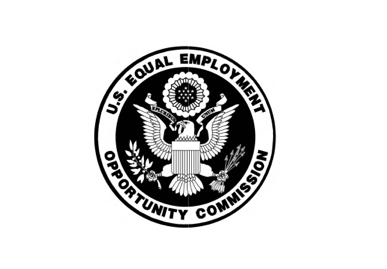 Equal Employment Opportunity Commission has issued a final, comprehensive Guidance on Retaliation and Related Issues, addressing the “interference” provision under the Americans with Disabilities Act (ADA) which prohibits coercion, threats, or other acts that interfere with the exercise of ADA rights. The new guidance, together with a question-and-answer publication as well as a Small Business Fact Sheet, encompass a reflection of wide-ranging feedback received by the EEOC from approximately 60 organizations and individuals on the matter. The new guidance addresses retaliation under each of the statutes enforced by the EEOC, including Title VII of the Civil Rights Act of 1964, the Age Discrimination in Employment Act (ADEA), Title V of the Americans with Disabilities Act (ADA), Section 501 of the Rehabilitation Act, the Equal Pay Act (EPA) and Title II of the Genetic Information Nondiscrimination Act (GINA). Some of the topics in the new guidance include the scope of employee activity protected by the law, the legal analysis to be used in any determinations of whether evidence supports a claim of retaliation, remedies available for retaliation, rules against interference with the exercise of rights under the ADA, and examples of employer actions potentially establishing retaliation. The new guidance replaces the 1998 Compliance Manual section on retaliation and updates the Commission’s guidance in light of seven precedential Supreme Court cases since that time. Charges of retaliation surpassed charges of race discrimination as the most frequently alleged basis of discrimination in 2009, and accounted for 44.5 percent of all charges received by the EEOC during FY 2015.